Phew! Seriously, how is it December already? I feel like a bit of a broken record, exclaiming once again how fast the months are going by, but I always find myself somewhat surprised when the calendar flips over and we’re back to the first once more. November, like most months, was a good knitting month. For the majority, I focused on one main project, but the end of the month brought with it the desire to cast on something new, and I certainly obliged, having recently acquired some lovely yarns. 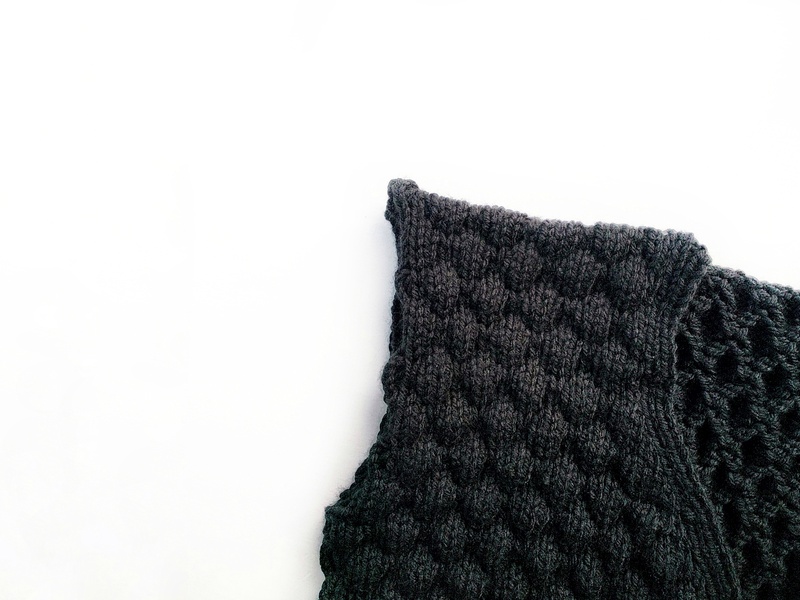 My main project this month was The Puffer – My Size by Charlott Pettersen. This cardigan is huge. It’s chunky and textured and I think it’s going to be so cosy, I can’t wait! 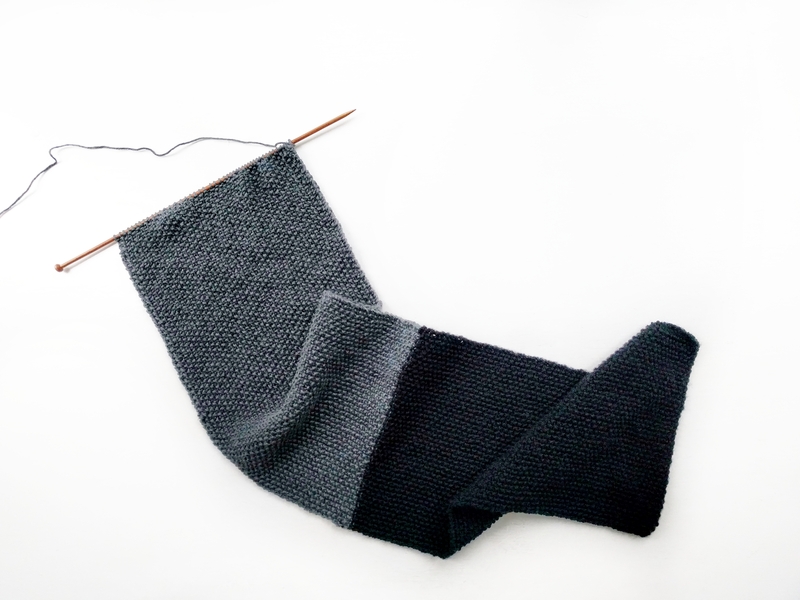 I cast this on right at the very end of October, and I’ve knit the whole body now. I went wrong on the decreases toward the shoulders, because the pattern tells you to space them every 2.5cm and I just couldn’t work out how many rows to leave it, but I made it work and I’m sure it’ll be fine! I’ve now cast on the first sleeve and I’m pretty sure I’m going to have to order more yarn before I’m through. I really hope to get this finished in December, so I can layer it over all of my t-shirts in this cold weather. 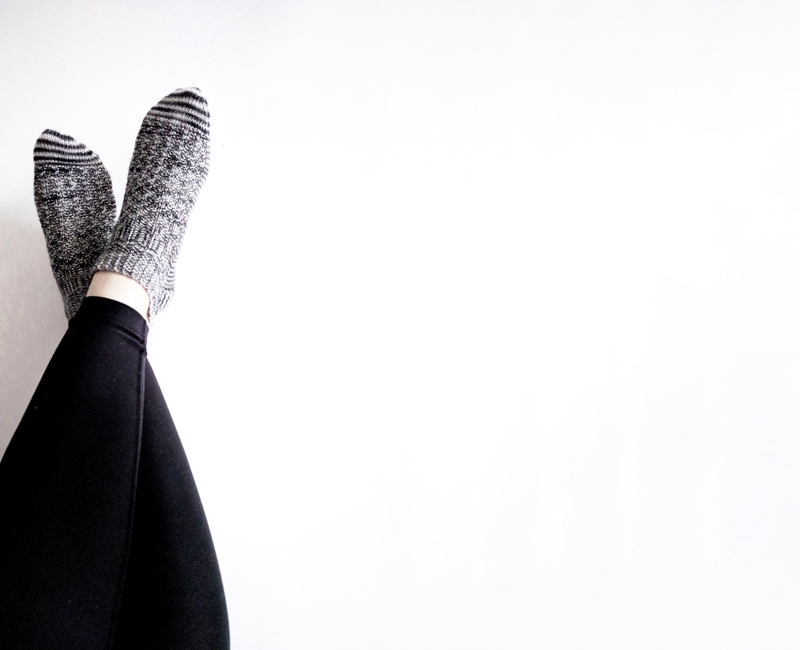 I also finished my Vestigial socks (full blog post coming soon), and I couldn’t be happier with them. The yarn was a beautiful grey-dient dyed by my lovely friend Kate at Joanie Unravelled and I think they turned out amazingly. 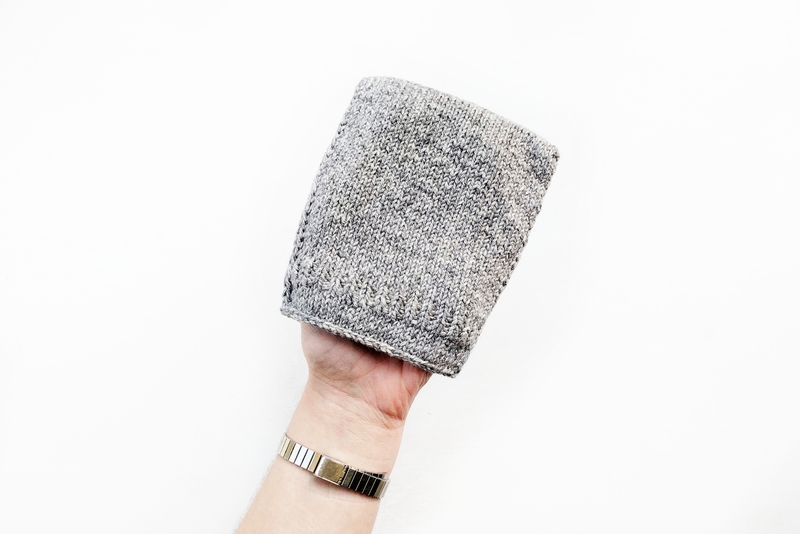 I’m really fussy when it comes to socks, and I find it super difficult to find a texture I can get on board with, but this design from Hedgehog Fibres was just right. I shortened the leg, as I’m all about an ankle sock, and in doing so I think I’ve got enough yarn left over for a second pair! They’re on my list for future cast-ons and I’m already feeling impatient to get started on them. Another small project I worked on this month was the San Agústin facecloth by Merel at Chain Twenty. 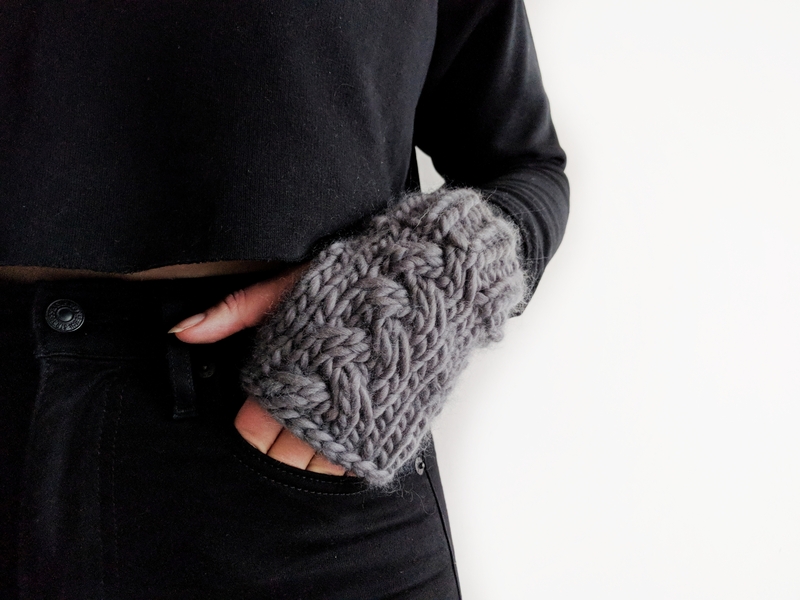 You can read all about this project in the blog post here, but know that I absolutely loved knitting it and think it makes the perfect gift! At the very end of the month I cast on a seed stitch scarf, using three shades of Willow and Lark yarns that I got at the Love Knitting Flock Party. I’m not sure what I’m going to do with this one yet, as I don’t think that I have a use for it myself, but I’m really enjoying the knit. Perhaps it’ll find its way to the next Knit Aid collection and help someone, somewhere in the world, feel a little warmer this winter. Let me know if you’d be interested in the pattern for this one, as I think it could be great! 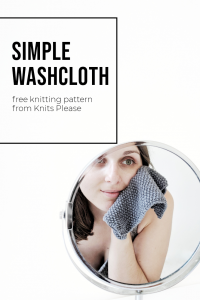 Other than that, I’ve swatched for an improv sweater that I’m going to make from some DK yarn my Mum kindly gifted to me, and I’ve decided I want to make a Puntilla sweater, too! I think that’s all for November, but I’m super pleased with everything I achieved, and I can’t wait to keep working the needles in December! 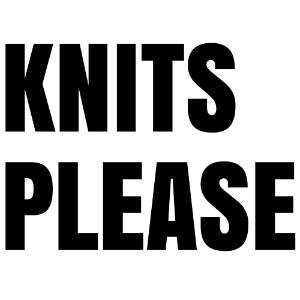 What have you been knitting lately? Are you knitting for yourself or do you have gifts on the go?